This next car comes from tipper Zach Z who writes: Born from Jets? Born for Mudding? Born for speed? Maybe those fat balloon tires actually make it go faster. I don't know. Find this 1968 Saab Sonett V4 offered for $8000 near Anchorage, AK. 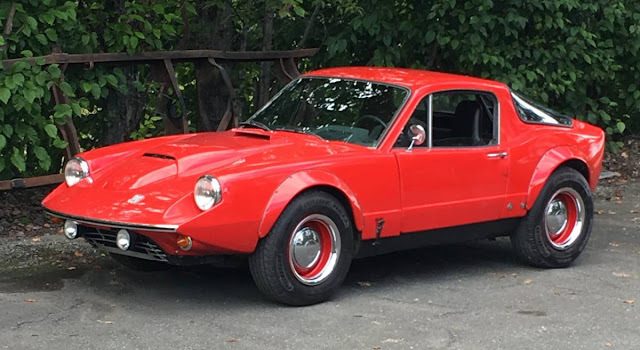 The SAAB Sonett is an odd car, either a 2-stroke or a V4 powering the front wheels with an Italian inspired design created/executed by a group Swedes. Somehow, the owner of this one has made it even more perplexity strange with the addition of giant truck sized tires and huge fender flares. Ok, maybe a little ugly, but it looks like a damn riot! It looks like you could have some real fun on gravel. Drive home flat-out on the Alcan Highway. Or perhaps the owner just wanted to be period correct. In 1968 the sidewalls would be as high at the tread width. This is what wide tires looked like in 1968. Or maybe the owner just wanted to be period correct for 1968. Wide tread = big sidewalls. The wheels themselves look kind of wrong though. The wheels and tires look kind of like they came off what you'd see on a Beetle. 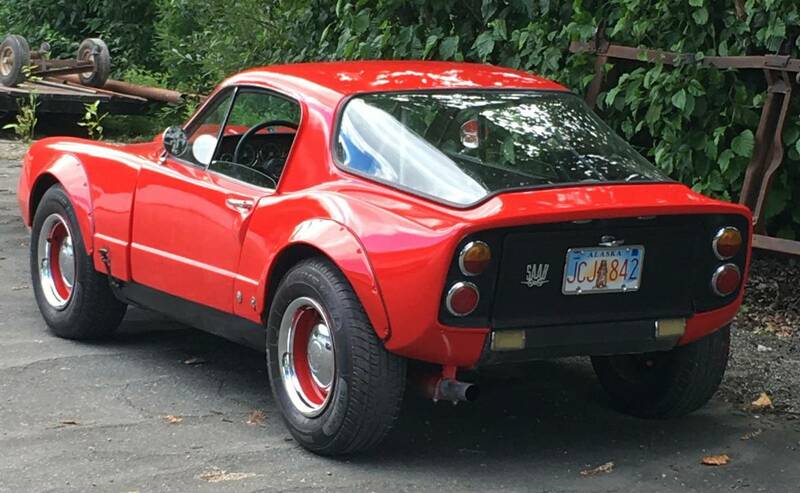 Almost makes it look like it's some sort of VW based kit car. According to the ad "Previous owner built this car for speed, thus bigger tires and wheel flares." ...and the factory never had such intention. So scary the trailer in front committed suicide. My pal Nicky in college had a Sonett and its exhaust scraped on everything from speed bumps to cigarette butts. This would definitely cure that. I kinda, weirdly like it.